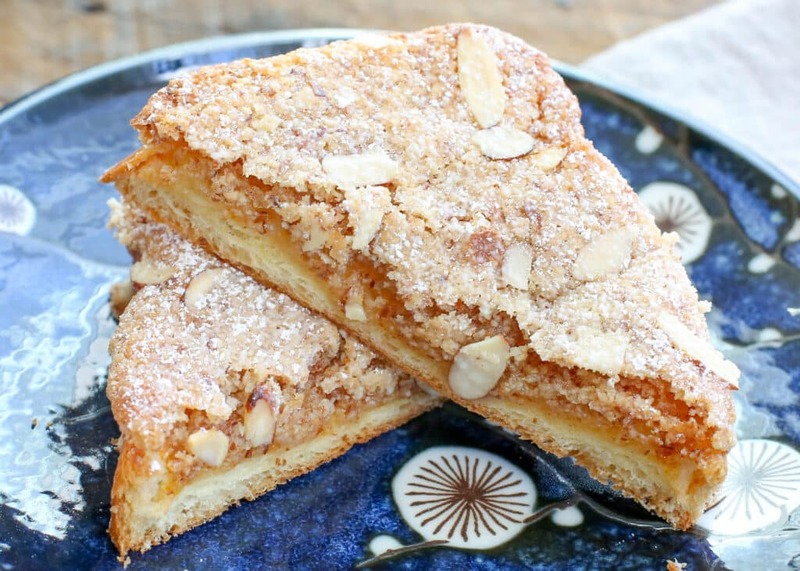 Crunchy toasted Brioche topped with jam and almonds creates an irresistible pastry called Bostock. As simple as it sounds (and is to make) once you’ve tasted it, I’m willing to bet that you’ll be telling everyone about it. I’ll go ahead and call this the Ultimate French Toast in the sense that it puts all other French toast to shame. Bostock may not sound like the fanciest pastry or bakery treat, but I’m telling you now that this is absolutely positively irresistible. I tried Bostock for the first time while visiting my friend Rebecca in Western New York. There is an amazing bakery called Elm Street Bakery in East Aurora that we visited a couple of times, and their list of tempting treats goes on for days. When I spied the Bostock, I had to try it. 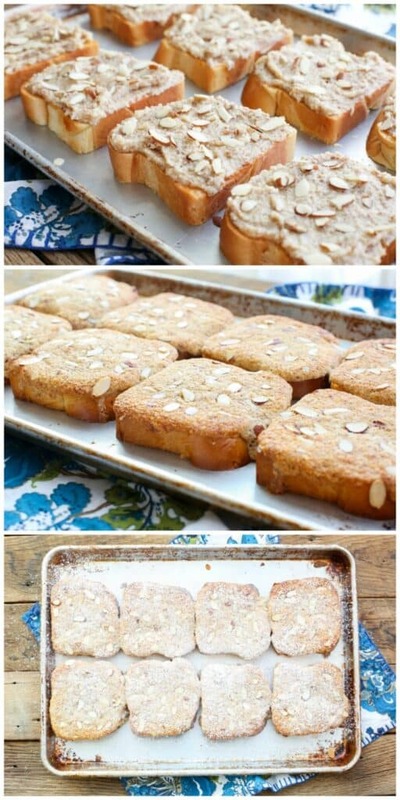 Bostock is made with a sweet bread (Brioche) cut into slices and spread with a thin fruit glaze and topped with an almond spread. A sprinkling of sliced almonds goes on top and then it is baked until crispy. The taste reminds me of Italian Pine Nut Cookies, which makes sense, as those cookies are made with almond paste as the main ingredient. I am sitting here struggling for words because I love this so much. I compare it to French Toast, except that it is so much simpler and tastes better by a mile. I can tell you right now, having made this just twice, I will be making Bostock on repeat for the foreseeable future. As we sat in the bakery, Rebecca and I chatted about how to recreate the Bostock at home. The bread is topped with a toasted frangipane. All you need to make frangipane is almond meal, sugar, butter, and an egg. It makes a heavenly topping for this Bostock and it literally takes just a few minutes. Kitchen Tip: I use this sheet pan, this spatula, and this powdered sugar sifter to make this recipe. Preheat the oven to 400°F. 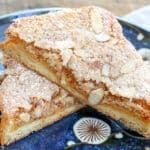 Make the frangipane by combining the almond meal, sugar, butter, egg, and almond extract in a medium-size mixing bowl. Stir to combine. Spread the sliced bread across a large metal baking sheet. Warm the jam in the microwave or on the stovetop and stir until smooth and runny. Using a pastry brush, spread a thin layer of jam on each slice of bread. Using a cookie scoop or large spoon, divide the frangipane generously over the slices of bread. 3 tablespoons (1 1/2 cookie scoops worth) topped each piece perfectly. Use a knife to spread evenly across each piece. Sprinkle with almonds. Bake for 12-14 minutes, until the top is puffy and lightly toasted. Remove from the oven and sprinkle generously with powdered sugar. Serve warm or use a metal spatula to transfer to a cooling rack. Cool completely and store loosely covered for up to 2 days. Enjoy! We spent several days on the couch watching our favorite musicals, eating popcorn, drinking wine, and cooking nothing at all. If it couldn’t be placed on a cheeseboard or eaten directly from the refrigerator or pantry, it had no place with us on this vacation. Did I mention that the entire trip was planned over 6 months ago based on our desire to rest, relax, and simply enjoy each other’s company? Mission accomplished. We did, however, take one day at the start of the week and another at the end to explore the area. Despite my desire for rest, there was no way I was going to be that close to Niagara Falls and not experience that for the first time. 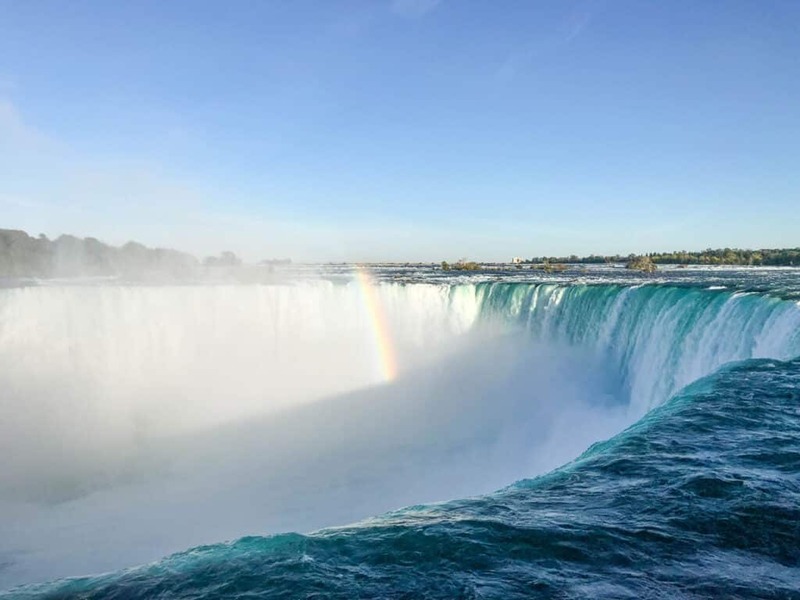 We drove across to Canada and saw the falls from the Canadian side. Take my advice (and the advice of all who have gone before) it’s worth the effort. The two views simply do not compare. 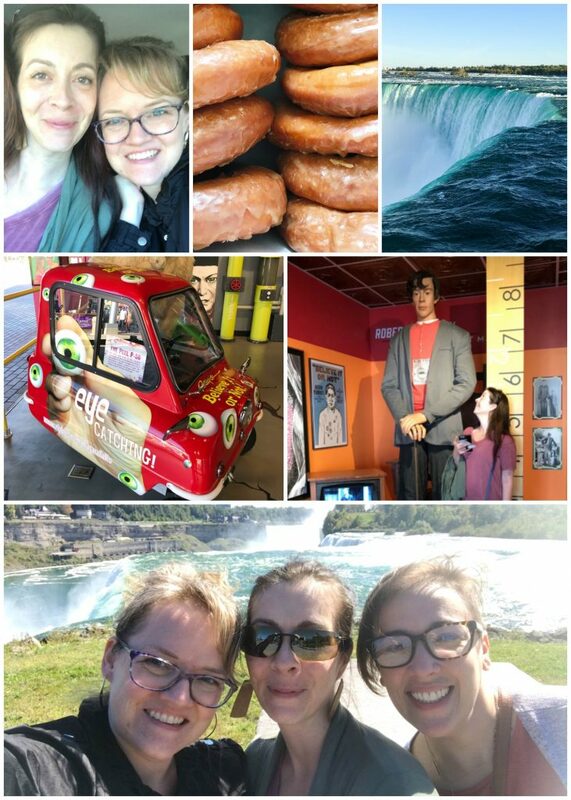 We also rode the ferry up close to the falls and the views from the water were a lot of fun. Be prepared to get splashed and laugh about it. While in Canada, I highly recommend checking out Antica for some great wood-fired pizza. (I love it when Yelp comes through with a terrific restaurant find!) And if you walk just a little ways up the street, you’ll find Ripley’s Believe It Or Not Odditorium. We stopped in on a whim and wound up loving it. When in Western New York, a drive through Letchworth State Park is a must. We stopped at several overlooks and the views were incredible. I could’ve easily spent a full day wandering in the park. Letchworth State Park is often called the “Grand Canyon of the East” and I can see why. It was a cool and drizzly morning while we were there and the views were still wonderful. I can only imagine how spectacular it is on a clear day of sunshine. 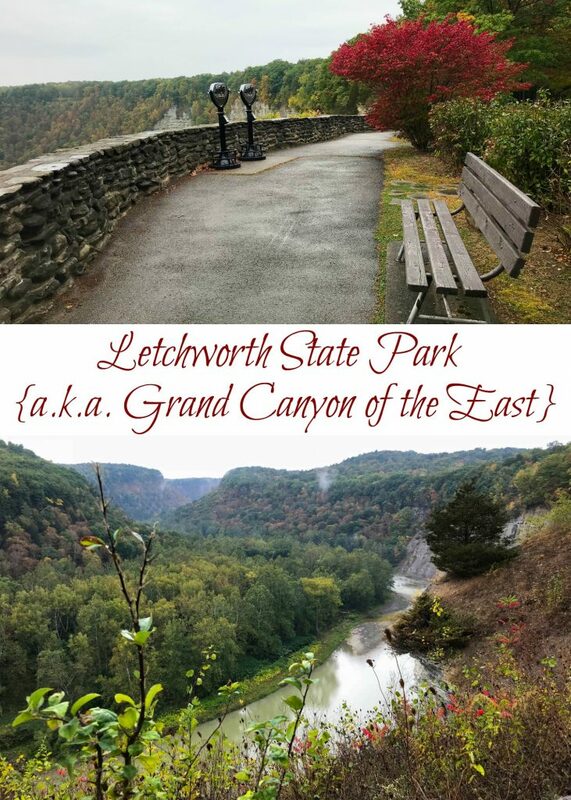 My family is planning a cross-country road trip next year and I’m looking forward to camping at Letchworth next time I visit. Just remembering this trip puts a smile on my face. When you are blessed with friends who truly speak your language, make time to just be with them. If you’re lucky enough to live in the same town, set aside the time for a cup of coffee or a quick lunch. If you live a thousand miles apart, cheap flights on Southwest make a lot of face time possible. Whether you are able to spend a single day or a whole week together, take that time whenever you can. My favorite “souvenir” from this trip is the memory of trying Bostock for the first time. I’m thrilled to be able to make Bostock at home now, anytime I like and I hope that you enjoy it every bit as much as we do. Hi Janice! I'm so glad you said "hi." You're one lucky girl to live so close to Elm Street Bakery, please have a ham and cheese croissant for me next time you're there! I can’t wait to make this and loved reading about your adventure! !